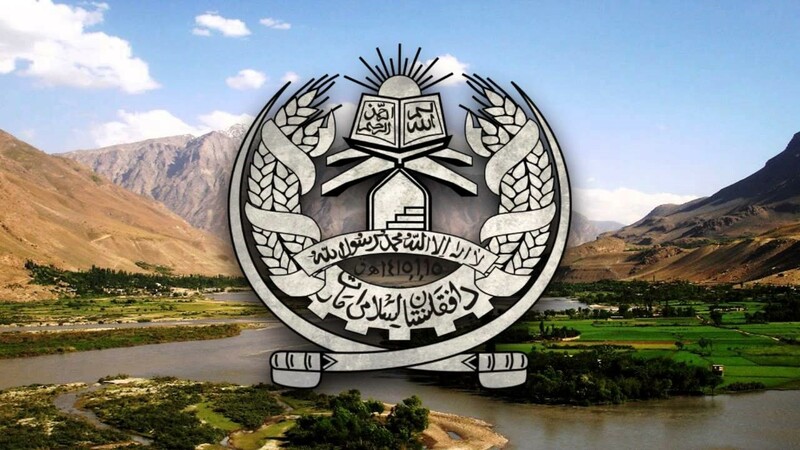 The opening of an Islamic Emirate of Afghanistan office in Qatar as the first step in a Qatar-backed Afghan reconciliation process has been interpreted by the Taliban as a sign of the movement’s “victory” in Afghanistan. A January 15 statement entitled: “The Islamic Emirate of Afghanistan: Formal Proclamation of Islamic Emirate’s Victory” said the development had “proved to the world that the Islamic Emirate is deeply rooted internally in the Afghan nation and externally in the whole Islamic Ummah. Militarily successful resistance against a gigantic international alliance, full presence on the whole soil and overall perseverance are the signs and secrets of the Islamic Emirate.” (Ansar1.info, January 15). The Taliban used the statement to express their pleasure with the choice of Qatar for the opening of a formal office, noting that Qatar has balanced relations “with all sides and a prestigious status in the Islamic world.” The movement outlined why several alternatives would be less desirable; Pakistan (referred to here only as a “neighboring country”) would have allowed the Karzai regime to continue its propaganda efforts to describe the Taliban as being under the control of Pakistan’s security services; Saudi Arabia was out of the question due to its close bilateral relationship with Pakistan, and Turkey was also unsuitable due to its membership in NATO. Some reports state the United States is considering a proposal to allow five Taliban leaders to leave confinement at Guantanamo Bay for Qatar as a confidence-building measure (The Nation [Lahore], January 24; January 25). While the Taliban proclaims victory in its struggle against U.S. and NATO forces, there are signs that U.S. authorities have begun a wider effort to initiate peace talks with all the major insurgent groups operating in Afghanistan. Dr. Ghairat Baheer, a representative of Afghan warlord and former U.S. ally Gulbuddin Hekmatyar, has reported having talks on behalf of Hekmatyar’s Hizb-i-Islami movement with CIA director General David Petraeus, U.S. Ambassador Ryan Crocker and U.S. Marines General John Allen (AP, January 25; The Nation, January 24). Hekmatyar has been a U.S. “specially designated global terrorist” since 2003. There are also reports that the United States is exploring the possibility of including the notorious Haqqani Network in the peace talks. Working in close alliance with the Taliban, the cross-border Haqqani Network has been identified as a major threat to U.S. and NATO forces in Afghanistan (Express Tribune [Karachi], January 9; AP, January 25). Earlier this month, the UN added the names of two Haqqani Network members to its list of proscribed Taliban associates; Fazi Rabi, a Haqqani Network financier involved organizing suicide attacks, and Ahmed Jan Wazir, described as a key commander in the network and a deputy to Sirajuddin Haqqani (United Nations, January 6, 2012: www.politsei.ee/dotAsset/215627.pdf). [Karzai] speaks of national sovereignty and of the welfare of people but practically, we see that there are thousands of Afghan detainees who have been suffering in the Bagram Air Base and other American bases now for years, and without a trial. But this does not prick his conscience to feel the need of a national sovereignty! Mass escape of prisoners- most of them Taliban prisoners – from Kandahar prison, escape of a number of dangerous prisoners from Pol-e Charkhi prison, strikes and riots in different prisons of the country including in Pol-e Charkhi prison, increase of prisoner numbers in the country, lack of sufficient environment for keeping inmates, [lack of] legal professional capabilities of prison guards in Afghanistan, the overwhelming problems in regards to handling of prisoners cases, all these reveal the capabilities of the Afghan government in maintaining and controlling prisoners (Daily Afghanistan [Kabul], January 7). Bagram is the largest U.S. run detention center in Afghanistan, with over 1,000 prisoners, though only a minority of these have been charged. Though both Karzai and the Taliban have identified U.S. control of the facility as a national sovereignty issue, there are fears that mass breakouts of Taliban prisoners might follow an exchange of control (Tolo TV [Kabul], January 9). Karzai was also condemned in the Taliban statement for failing to prevent the night raids “conducted by the invaders, noting that even members of the administration and family members had been killed or harmed during night raids. Karzai actually began to demand an end to night-raids by NATO forces in December, 2011, but received a negative response from U.S. and NATO officials, who described the night-raids as an efficient, low casualty method of rounding up suspected militants (Khaama Press [Kabul], January 8; AP, December 19, 2011). According to the Taliban, Karzai’s willingness to do the bidding of warlords and other corrupt individuals is preventing his administration from playing an independent or constructive role in providing a solution to the occupation of Afghanistan: “Though he has tried to deceive the people by pleasant and emotional assertions… the people have now come to know his anti-Islamic and anti-national intentions…” With increasing indications that the United States is now prepared to negotiate directly with the Taliban, it seems likely that Karzai’s demands are part of an effort to reassert his influence and prevent his exclusion from peace talks. “Karzai’s Anti-National and Pro-Warlord Demeanor,” Islamic Emirate of Afghanistan, January 5, 2012. 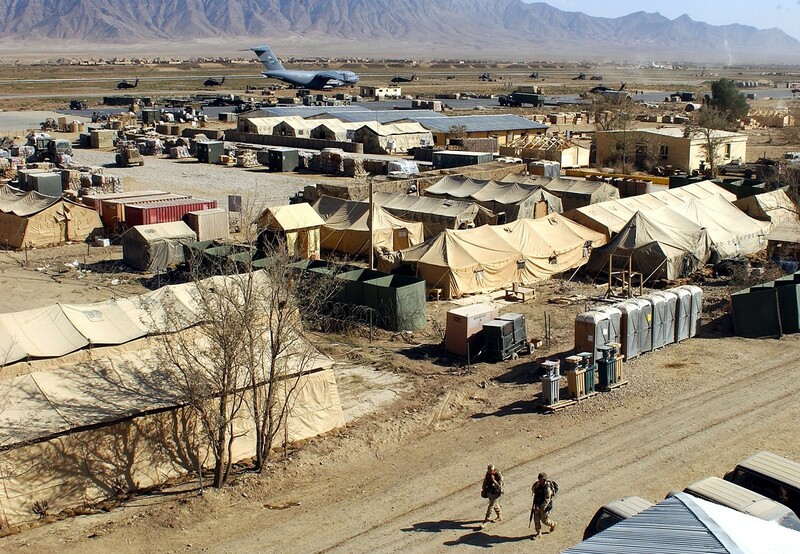 The four-day Loya Jirga produced a nearly unanimous vote in favor of a strategic agreement with the United States that would permit the continued presence of American military bases in Afghanistan after the scheduled pull-out of U.S. forces in 2014. There were, however, conditions attached, including an end to night raids on residential housing, the closure of all prisons operated by foreign forces and accountability to the Afghan justice system for Americans who commit crimes in Afghanistan (Khaama Press [Kabul], November 19). In the southern provinces of Helmand and Kandahar, the site of some of the war’s fiercest clashes, the spokesman admits the Taliban have been driven out of some areas, but attributes this to the occupiers’ complete destruction of orchards and houses in these districts. Otherwise he denies NATO claims that the Taliban are restricted to limited areas in the south of these provinces, insisting that foreign forces are confined to their bases in urban centers while the Taliban conduct attacks throughout the rest of the region at will. Qari Yusuf suggests the inaccurate perception of the situation in the southern provinces is partly due to “the absence of free international media” to observe and report Taliban activities accurately. While attributing this absence to threats against journalists by internal and external secret services, this complaint from an official spokesman demonstrates the Taliban’s growing appreciation for the value of the media in the struggle for Afghanistan. The movement once known for smashing televisions now manages a website in five languages, Twitter and Facebook accounts, radio stations, magazines and a video production company that posts its work on YouTube (Express Tribune [Karachi], December 1). In the northern provinces, particularly Kunduz, a decrease in Taliban activity is blamed on the reluctance of the “mostly non-American” NATO garrisons there “who are fed up with this war” to venture far from their bases, thus reducing the opportunities for Taliban operations. Nonetheless, Qari Yusuf says the Taliban is continuing to increase its presence in the north. The Kunduz Provincial Reconstruction Team (PRT) is one of five PRTs that come under ISAF’s Regional Command-North. With Germany as the lead nation, PRT-Kunduz includes German, Belgian, Armenian and American troops. We can never tolerate foreign invasion in our country. We want the strict implementation of Islamic rules and regulations. We want Islamic brotherhood and unity among the countrymen. We want cordial relation with the world on the basis of Islamic principles where no one is harmed. But the enemy is extending the occupation and is dreaming for a prolonged subjugation of our country. In these circumstances we are compelled to insist on a military solution rather than political one because the enemy is not ready to leave our country… and to solve the disputed issues by political negotiations. Afghan Islamic News Agency, “Interview of the Spokesman of the Islamic Emirate of Afghanistan,” Ansar1.info, December 4, 2011. This article first appeared in the December 15, 2011 issue of the Jamestown Foundation’s Terrorism Monitor. The U.S. military has long been frustrated by deadly operations carried out against its troops in Afghanistan by Haqqani Network forces, which typically retire into Pakistan after finishing their operations, placing them beyond most forms of retribution by American forces. A series of meetings in the last few weeks has been designed to goad Pakistan’s military into carrying out a major offensive against the Haqqani Network and compel the ISI to stop its support for the group (Pakistan Observer, October 10). According to U.S. Defense Secretary Leon Panetta, “We cannot have the Haqqanis coming across the border attacking our forces and [Afghans] and disappearing back into a safe haven… We keep telling [the Pakistanis] you can’t choose among terrorists. If you are against terrorism, you have to be against all forms of terrorism” (Dawn [Karachi], September 22). Afghanistan’s Taliban movement is seeking to deflect a wave of criticism surrounding its alleged use of children as suicide bombers following a public appearance by President Hamid Karzai with eight children the president said were recruited by the Taliban for “martyrdom operations.” The eight children were being sent back to their families after being rescued by national security services, while another 12 juveniles were being sent for education and reintegration programs before they are similarly returned home (Reuters, August 30). In the latest incident, a 16-year-old was detained on August 27 in the Baharak district of Badakhshan while wearing a suicide vest. The teenager was stopped while on his way to bomb a local mosque (Frontier Post [Peshawar], August 28). The volunteer should be armed with full military training and capacity. The Taliban use the statement to reject the concept of using children as mujahideen or as martyrdom-seekers, pointing out that such use would only inhibit the success of martyrdom operations as an effective military tactic as they lack the “physical and mental capacities” and “deep Islamic knowledge and motive” necessary to bring the task to completion. 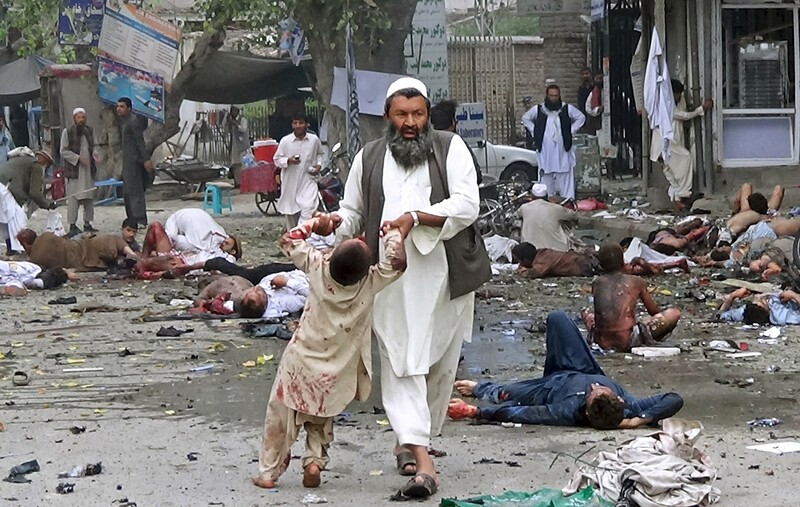 Human Rights Watch, Afghanistan: “Taliban Should Stop Using Children as Suicide Bombers,” August 31, 2011, http://www.hrw.org/news/2011/08/31/afghanistan-taliban-should-stop-using-children-suicide-bombers. “Statement of the Islamic Emirate in Response to the Propaganda about Recruitment of Children in Martyrdom-seeking Attacks,” September 5, 2011. Muhammad Munir, “The Layha for the Mujahideen: an analysis of the code of conduct for the Taliban fighters under Islamic law,” International Review of the Red Cross, No. 881, March 31, 2011, http://www.icrc.org/eng/resources/documents/article/review-2011/irrc-881-munir.htm .